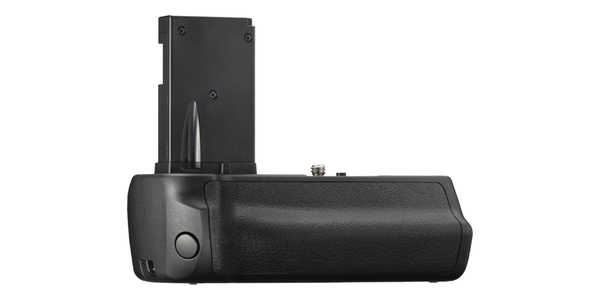 The Power Battery Grip HLD-6P is a dustproof and splashproof power battery grip that can enable the capture of approximately 680 shots (based on CIPA tests) between charges. It features a shutter button for shooting with the camera held vertically and two control dials and two function buttons for the same easy controls as when shooting from a horizontal position. This is for the power grip only. HLD-6 Owners Please Note: This product is identical to the Battery Grip portion of the HLD-6 grip made for the E-M5. If you already own that grip, you can use it with the E-M5 Mark II when combined with the new HLD-8G Grip. This will mount on both the E-M5 (with HLD-6G Grip) and the E-M5 Mark II (with HLG-8G Grip).